In the interests of mixing things up a little, I thought I would take a look at something that may have slipped under your radar when it was first released back in 2011. Jason Jack Miller’s Hellbender is a story with murder, mountains and even a little magic. Henry Collins wants no part of the long running feud between his own clan and the Lewis family. He left the hills of his birth to make a life away from all that spit and hate, but blood is thicker than water and when his sister dies in mysterious circumstances Henry finds he is in the middle of the very thing he left to avoid. Set deep in the Appalachian mountains of West Virginia where blood feuds simmer for generations on back country stoves and old hill magic can be more deadly than the bite of a Copperhead. 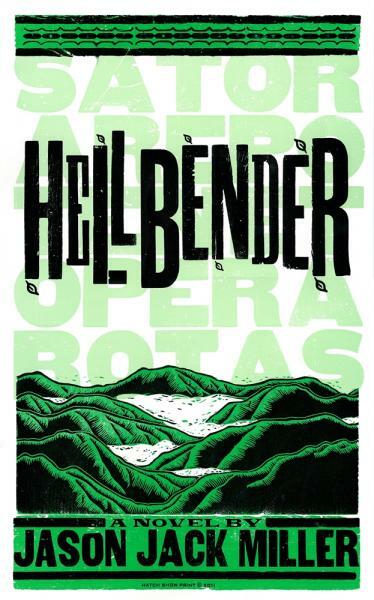 Hellbender is a rollicking tale of modern day murder and ancient tradition. In these cold mountains family is the tie that binds and bullets are only one of the weapons used in this age old war of attrition. 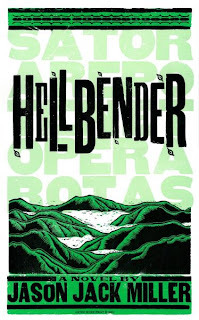 Hellbender is Miller’s second novel and the book has a real confidence about it that comes from an author who has found both his feet and his voice. The narrative flows easily and rarely wastes much time pausing for breath. The strong plot and well formed characters allow you to immerse yourself in a cracking story that carries the reader through the twists and turns of impenetrable laurel hells and over scarred mountain tops to a bloody and satisfying conclusion. Jason Jack Miller has a real feel for the country of which he writes. He enfolds his story with the rich culture of the hills and paints his Appalachia with such atmospheric detail that you can almost smell wood smoke from the cooking fires and taste the burn of old Pap's stump whiskey. I’m a sucker for anything with shotguns and backwoods blood letting and while Hellbender has plenty of that it also brings something a little different to the party. But please don’t let the magical element put you off, I guarantee there are no pointy hats or annoying adolescents riding around on broomsticks. The magic here is a much more ethereal thing born out of mountain folklore and it makes for a book that’s, well… magical.